Do you what type of locks you have on your doors? On this page, we explain the security features of the most common lock types on the market. And the benefit of security you can gain by purchasing any of them regarding your requirements. What is a Door Knob? A door knob is the lower lock on your door. The term door knob or doorknob tends to refer to round operating mechanisms. Home-entry door handles are usually more sophisticated than bedroom door handles. Usually, door knob of a bedroom door don’t have key cylinder, so you don’t need a key to operate it. Unlike deadbolt, door knob don’t have “bolt,” but a “latch,” which protrudes into a space carved out of the door frame, and which prevents the door from being opened if the knob is not turned. Because doorknobs must be operated frequently during a day, open, close, and lock doors on a frequent basis, it’s important that they work smoothly, efficiently, and securely. In addition, because they are also a highly visible part of your home, doorknobs should be chosen with an eye toward quality, finish, and style. A deadbolt is the upper lock on your door! A deadbolt or dead lock is a locking mechanism distinct from a spring bolt lock, because a deadbolt cannot be moved to the open position except by rotating the lock cylinder. The more common spring bolt lock uses a spring to hold the bolt in place. This allows retraction by applying force to the bolt itself. A deadbolt can therefore make a door more resistant to entry without the correct key. It is the most secure locks, either key or keyless. Keyless deadbolts eliminate the need for a key and it is great for anyone to free from the fear of losing their key. 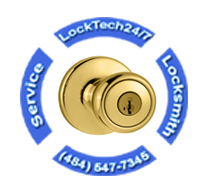 A single cylinder deadbolt will accept a key on one side of the lock, but is operated by a twist knob on the other side. Double cylinder deadbolt will accept a key on both sides and therefore do not require (and often do not have) any twist knob. This prevents unwanted unlocking of the door by forced access to the interior twist knob (via a nearby window, for example). Many deadbolts includes alarm system if anybody forcibly or feeding incorrect password combination every time a buzzer sounds. This can make aware your surroundings. Padlocks are fairly straight forward. 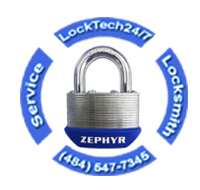 There are not a large quantity of options concerning padlocks. There are re-keyable and non-re-keyable padlocks. If a padlock is non-re-keyable, then you cannot change the key that opens the lock. For instance to make it to use with the same key as your house. Padlocks can be key retaining or non-key retaining. A key retaining padlock means when the padlock is open, the key cannot be removed. Finally, padlocks can have a shrouded shackle. This is where the shoulders of the padlock raise up the sides of the shackle to make it far harder for bolt cutters to cut the padlock. What is a Chain Lock? A chain lock, security chain, or security door chain consists of a small chain attached to the door frame. Which attaches to a track on the door for security purposes. It is a type of lock that is often used along with other types of locks to secure a door, such as door knobs and deadbolts. Many people believe these locks are very effective and only be secured from the inside, and this is true. Chain locks are mainly intended to allow a person inside a structure to open the door slightly. They created for purposes of communicating with individuals on the other side of the door. Or exchanging small objects through the door while still preventing the individuals outside from gaining access to the structure. They also secure the house very well. There are several chain locks on the market which have a key lock on the wall mount. So they can be lock and unlock from outside of the door. Door chains are fairly easy to install and use. Use of a chain lock improves security when dealing with strangers. 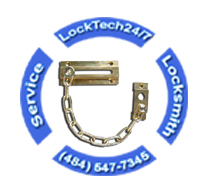 A properly installed chain lock is resistant to tampering from the outside. Cam locks are used in various applications but are most frequently found in filing cabinets. They come in a few different lengths. The primary area in which they vary are on the metal piece on the back of them. This part is frequently called a tailpiece or the “cam”, yes the same name as the lock. It interfaces with the actual locking mechanism. 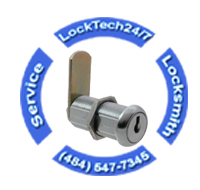 it’s must be remembered that there is a very large variety of options for cam locks. A mortise lock is one that requires a pocket—the mortise—to be cut into the door or piece of furniture into which the lock is to be fitted. In most parts of the world, mortise locks are generally found on older buildings constructed before the advent of bored cylindrical locks. Mortise Lock, however, have recently become more common in commercial and upmarket residential construction in the United States. As for today, in most cases, a mortise lock is combined with Adam Rites mechanism and used mostly in commercial spaces. 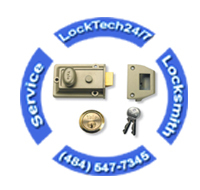 A professional commercial locksmith should be able to take care of any mortise lock issue. They are widely used on all ages of domestic properties in United States and Europe. This locking mechanism has spring bolts, deadbolts, as well as latches. 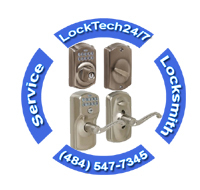 Mortise locks are extremely strong when installed in a door and provide additional security to doors that are already equipped with one or more other locks. The mechanism of a mortise lock is enclosed in a metal case recessed into the door’s edge. The cylinder is installed through the outside of the door and fits into a threaded hole in the side of the case. It is held in place by a long set screw installed perpendicular to it through the edge of the door. The installation of a mortise lock cannot generally be undertaken by the average homeowner since it is labor intensive and requires a working knowledge of basic woodworking tools and methods. Many installation specialists use a mortising jig, which makes precise cutting of the pocket a simple operation, but the subsequent installation of the external trim can still prove problematic if the installer is inexperienced. A rim lock is a locking device that attaches to the surface of a door. The original type of lock used in England and Ireland it is of a basic design originally of a very stiff lever and a bolt with wards being the block. Although today, a rim lock is still a very popular security door hardware for businesses in the U.S. Rim locks installed in an external doors of corporation, industrial spaces and big offices buildings. Some of the rim locks are even used for high security measure. Older ones could be as large as 40cm by 25cm. Most rim locks used today on exterior doors in the American Isles are nightlatches. What Entry Lever Lock Is? Lever handle locks are frequently used for external or even inner doors. Specifically in commercial and residential settings and shape. An Entry lever lock have a large push down style handle used to open the door. Lever locks are frequently used over knob locks as they are easier to open with occupied hands,as they can be pushed down rather than having to turn a knob. Frequently when accessibility, particular for handicap individuals. That how is important and popular lever locks are used. What Keypad / Electric Lock Is? 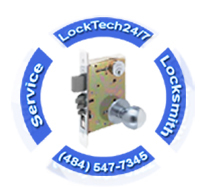 An electronic lock is a locking device which operates by means of electric current. 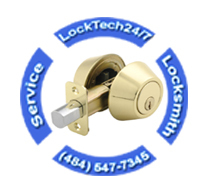 Electric locks are sometimes stand-alone with an electronic control assembly mounted directly to the lock. 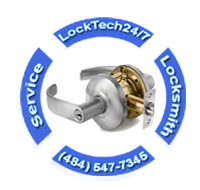 Electric locks use magnets, solenoids, or motors to actuate the lock by either supplying or removing power. Operating the lock can be as simple as using a switch, for example an apartment intercom door release, or as complex as a biometric based access control system. Another electric lock is Electric keypad locks. Perhaps the most prevalent form of electronic lock is that using a numerical code for authentication; the correct code must be entered in order for the lock to deactivate. 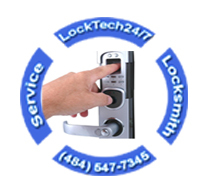 Electronic keypad lock is very popular and replace almost every type of locks from the market. Such locks typically provide a keypad, and some feature an audible response to each press. This lock operate successfully without having any key and no complexity arises to lock and unlock the door. You can perform the operation with the use of one hand only and it is very impressive if you have lots of item in your one hand and you can easily open the door from another one. Combination lengths are usually between 4 and 6 digits long. It is very secure as no one can have idea what code you have set and it is impossible to access. Also it has a facility to change the password and you can do it frequently as per your convenience. A variation on this design involves the user entering the correct password or passphrase. If you have forgotten the password again no worries digital locks company having its substitute too. You can not lock yourself out of your home when you have an electronic keypad lock on your door, unless you forgot the combination code or to change the batteries once in a two years. This system gives a good option when securing buildings and properties. It uses a biometric signature to be able to grant access to the security device. Your access may be in the form of fingerprints, observation scan, face recognition and voice popularity. As biometrics become more and more prominent as a recognized means of positive identification, their use in security systems increases. Unlike the conventional locks for doors that require keys to be able to open a door, this form of security program allows access without necessity of keys. It is highly convenient because anyone can leave the home without worries of losing the key or leaving them somewhere. What Key Card Lock Is? A keycard lock is a lock operated by a keycard, a flat, rectangular plastic card with identical dimensions to that of a credit card or American driver’s license which stores a physical or digital signature which the door mechanism accepts before disengaging the lock. There are several popular type of keycards in use including the mechanical holecard, bar code, magnetic stripe, Wiegand wire embedded cards, smart card (embedded with a read/write electronic microchip), and RFID proximity cards. 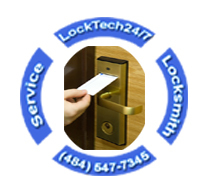 Keycards are frequently used in hotels as an alternative to mechanical keys. The first commercial use of key cards was at automated parking lots to raise and lower the gate where users paid a monthly fee. You can also enter our locksmith blog to read some of our blog posts.